Accepting Backups!!!! 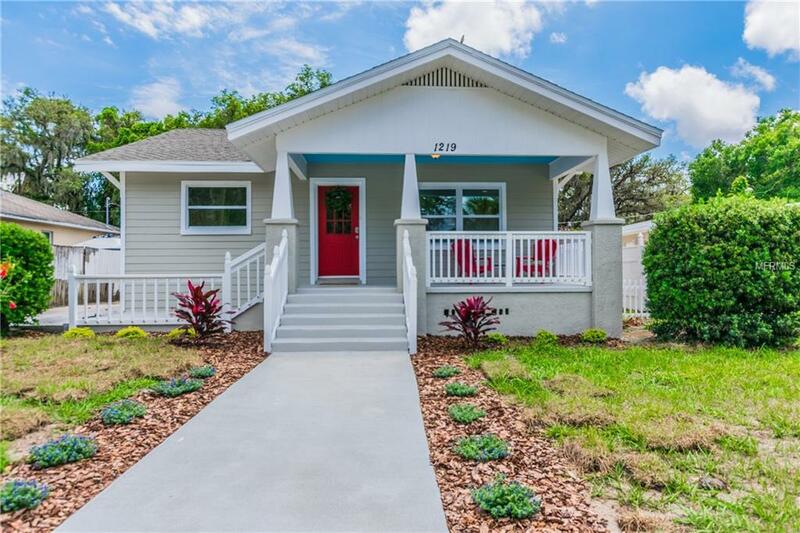 GORGEOUS HOME... CLOSE TO EVERYTHING COOL...NEIGHBORHOOD RAPIDLY IMPROVING...Are you yearning for URBAN LIVING defined by WALK-ABILITY, food, drink & ENTERTAINMENT for every age, all within one neighborhood? Then you've found it! We are close to the Hall on Franklin, Waterworks,Armature Works, Ulele,Ella's,Independent, etc. This 1925 Bungalow has a new roof, windows, a/c, appliances,water heater, etc. The 3 bed,2 bath home also has a detached Flex/Play/ManCave/SheShed....216 extra square feet to enjoy as you see fit. Over 1800 sq ft of a/c living space. With an easy connection to nearby water & sewer, the cabana could be true separate living quarters or an Air B&B. The living room has a wood burning fireplace. The kitchen is amazing. It has 42' West Point Grey wood cabinets that have a shade of brown when the light hits them just right. The reflective back splash compliments the granite counter tops but the most impressive aspect is the size. It is spacious and the double oversized windows let the light pour in. It is a dream for any chef. The pass through is the perfect place to pull up a stool and keep him/her company as dinner is prepared. It leads to the family/dining room which provides plenty of space for friends and family to gather. The inside laundry has windows all along the South wall and can also act as a mud room since there is a door leading to the back yard. The master bedroom with it's ensuite master bath provides a retreat like private setting.